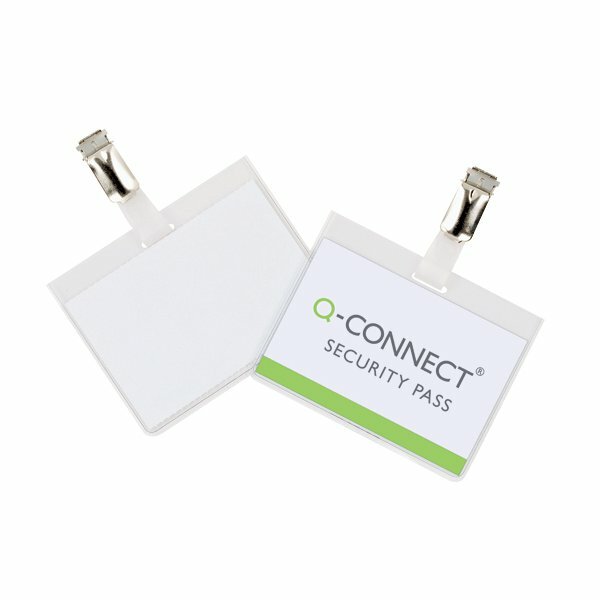 Keep track of all visitors, employees and customers at networking events or on a daily business using these Q-Connect Security badges. Made of sturdy PVC badges, these badges are hard-wearing and versatile with a turntable clip, making them the perfect security badge. Each badge features transparent covers to protect but display name cards clearly and are supplied with white card inserts for writing or typing.